Wouldn’t it just be great if there were a beach in every city around the world? 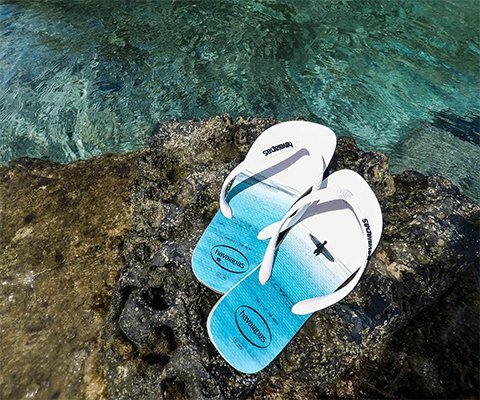 No, even better: around the four corners of the world, if everyone could enjoy some sand, sea and water…. That would be amazing, but (let’s be realistic) it’s also pretty unlikely to happen. That’s why, sometimes, a touch of genius can help us turn dreams into reality: like, ‘bringing’ the beach right to the middle of the city! 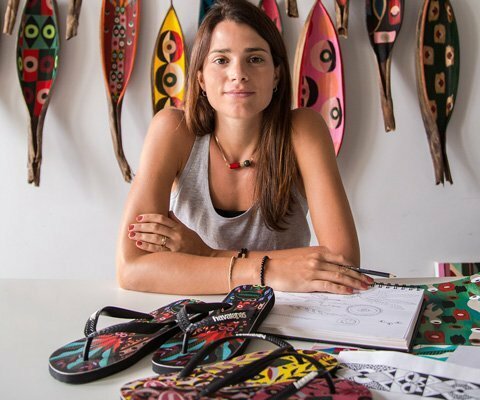 To celebrate the 20th anniversary of the creation of one of Havaianas’ most iconic models ever, the emblematic Brasil flip-flops, we have turned the central Plaza de Colón square in Madrid into a little piece of idyllic beach which remind us of Rio’s beaches. Just like Ipanema, but right in middle of the Spanish capital! 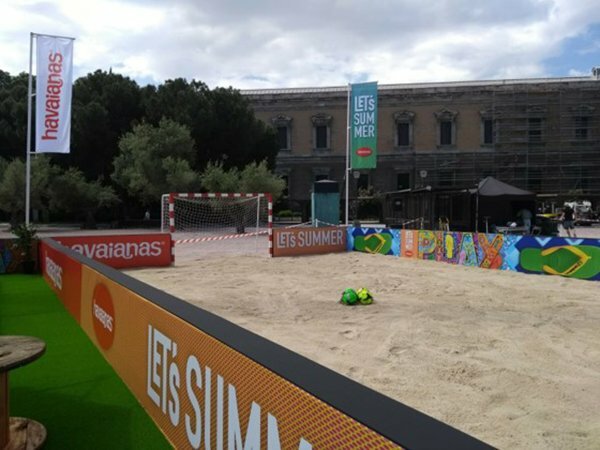 With loads of sand and a little imagination, Havaianas has transformed a hard concrete surface into a beach football pitch. 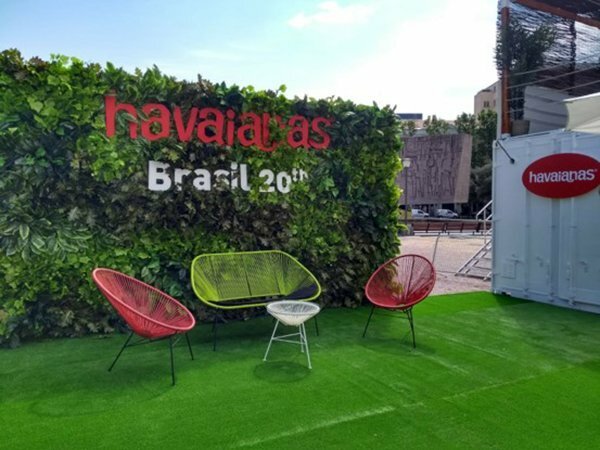 That’s where a tournament was held, with the participation of 18 influencers of different nationalities who happen to love football and Brazil. 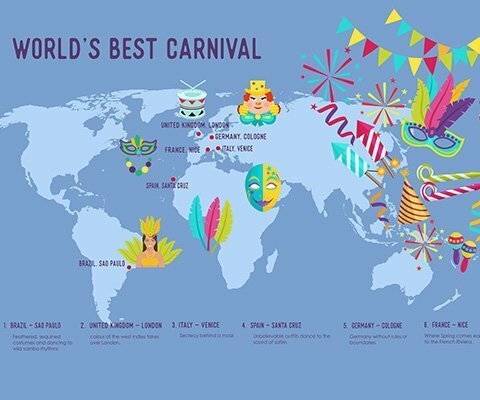 They flew in from various places around Europe, the Middle East and Africa to take part. The occasion called for it: celebrating two decades of a model which came to life in 1998 for, well…, football! That’s how the Brasil model came about. 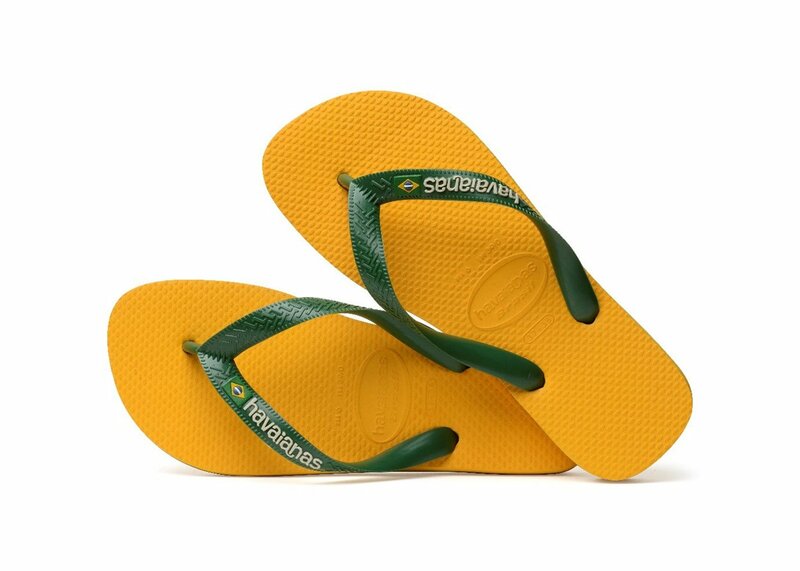 Brazilians – who happen to be very superstitious – needed a lucky charm to bring in some luck. 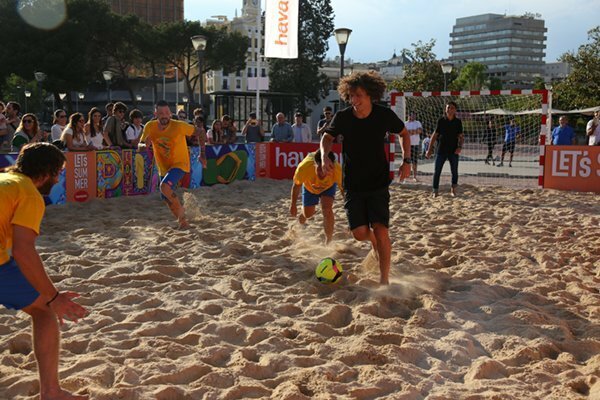 To celebrate this 20th anniversary and also celebrate the fact this is a football year, a beach football tournament was held in Madrid. Two of the sport’s mythical names were the patrons and commentators of the event: Brazilians David Luiz and Bebeto. The former currently plays as centre back and defensive midfielder at Chelsea, the latter is now a leading reference in world football. The tournament had all the ingredients found in major sporting events: emotion, effort, camaraderie, sportsmanship and, above all, loads of fun! After commentating the incidents and high moments of the tournament, David and Bebeto didn’t stop to think before putting together their own team for the greatest pleasure of all those taking part as well as for those watching: it was truly a master class in great football!